President Emmerson Mnangagwa has blocked outgoing MDC Youth organising Secretary Shephard Dube (Shephard Ben Abraham) from interacting with him on Twitter. Posting on Facebook Dube said, "That moment when you discover the whole President of Zimbabwe blocked you on Twitter. I feel so important right now." Dube asked lawyers whether there was a legal opportunity to sue President Mnangagwa for blocking him. "My learned brothers Mazibisa Shepherd Sindiso and Velempini Veap Thuthani Ndlovu can't I sue the President for blocking me, he is depriving me of my right to contribute in his State Sponsored twitter posts." Earlier this year an American Judge Justice Naomi Reice Buchwald ruled that USA President Donald Trump is violating the U.S. Constitution by preventing certain Americans from viewing his tweets on @realDonaldTrump. The social media platform, Buchwald said, is a "designated public forum" from which Trump cannot exclude individual plaintiffs. It is not the first time that Dube has had a brush with President Mnangagwa. 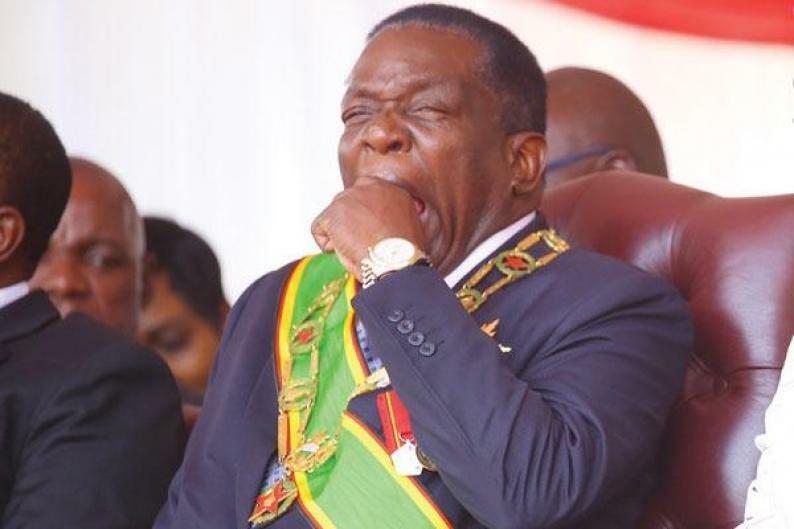 In 2017 when Mnangagwa was still Vice President, Dube purchased an internet domain name www.emmersonmnangagwa.com which he put on auction. The venture invited rage from the then Minister of ICT Supa Msandiwanzira who said Mnangagwa should sue Dube for the actions. Members of the Central Intelligence Organisation and Military Intelligence Department terrorised him until he skipped the country.